Hey guys! Amy again! 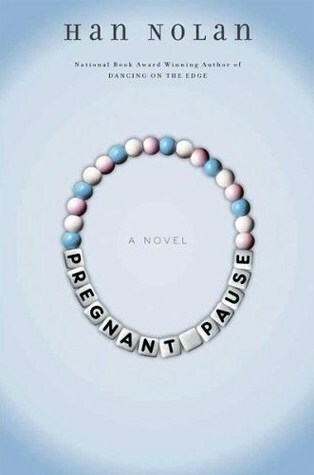 Welcome to my review of Pregnant Pause by Han Nolan! Let’s just cut to the chase, shall we? Appearance/Cover: So… I went to the library (Um… last Saturday I think?) with a mission. I had made a list at home of all the books I wanted, because I needed to be quick (Ha!) and not stay forever (As if…). I started gathering all my books. At about the 4th book, I took an audible gasp. BEFORE I FALL BY LAUREN OLIVER WAS RIGHT NEXT TO IT!!! I was so excited about this, because she recently posted a playlist to listen to with it, and I’ve been interested (but tentative) in reading it before, so this was the perfect nudge. Of course, I grabbed it. Next to it just happened to be this book. I knew from the name that there was a 99% chance that the main character was a pregnant teenager, and something about it was just screaming at me. But alas, I was ON A MISSION, so I somehow walked away and grabbed my other two books. I proceeded to then come back and grab Pregnant Pause and walk away like I stole something. XD Anyway, the point of this paragraph (Yes, there is one!) is that this cover is totally perfect. Just PERFECT. This color is just so soft and inviting, while the letter-bead title suggests an immaturity. The circular shape is so simple, and the author’s name lettering (as well as title lettering on the side) is round with letters all the same size, like there are no sharp edges. The beauty of the cover is in the simplicity, and this really reflects the book style. I know I don’t usually rate covers, but this one gets a 10/10, easily. Writing Style: Right before reading this book, I had read Spelled, which had a middle-grade-ish style to it, so this was a huge change. Honestly, I’ve never read any other book with a style quite like this. Or nearly as many run-on sentences. Almost every sentence was half a paragraph. The thought just kept going on and on and on. I noticed this right when I started, and it came as a huge shock to me. However, it is because of this that the book is very easy to read, so I adjusted quickly. By the end of the book, the style still completely puzzled me, but at the same time, I was absolutely in love with it. (Mwah mwah! XD) 10/10 for sure. Plot: The book starts when Eleanor is (I think) seven months pregnant. In the very first chapter she explains how she didn’t tell her parents until she was 5 months pregnant, and how/why it happened, as well as who the father is. The book is essentially about her endeavors to keep her and Lam’s marriage going, connect with the campers, decide what to do with the baby, and get on the in-laws’ good side while at camp. There was hardly ever a dull moment, so I was kept well entertained and wanting the whole book. However, I’d still give it an 8/10 because I didn’t agree with a few things that happened. Characters: The main characters (in order of importance to the story, in general) were Eleanor, Lam, Banner, Ziggy, the Old Bat, MIL, FIL, and Sarah. I absolutely loved Eleanor. After two weeks or so, she realized she wasn’t going to have a miscarriage, and got clean of everything (and there was a lot). She was just so real. She tried to deal with her baby, and all of her relationships, her own personal needs, and all of the pestering to hand over the baby from various people. Although she was (quite) immature at times, Eleanor was good-hearted and always tried her best. Okay, usually. As for Lam, well, I wanted to like him. I really did. He was so terrible, but Eleanor loved him, and I appreciate how he guarded Eleanor against the world. However, he was completely oblivious to how he hurt Eleanor, so I really did not like him. Banner- *chokes up* Oh man. Nope, can’t do it without crying. I tried to like Ziggy? Again, Eleanor liked him. I didn’t really want to like him, but I tried anyway. Didn’t work. I just thought he was such a jerk! The Old Bat was probably my third favorite person besides Eleanor and [the one who does not talk]. As for the MIL, FIL, Sarah and her husband, and Eleanor’s parents, I did not like any of them. They were all against her, and never even considered her opinion, feelings, or growing maturity. Eleanor was always trying to be nice and everything…. The rest of them, not so much. Since the only people I really liked were Eleanor, Banner, The Old Bat, and [the girl], I give the characters a 7/10. Overall: This book was a very enjoyable read. Thanks to the wonderful writing style, it was incredibly quick and fun. I would recommend this if you’re looking for a quick read that approaches heavy topics with a light heart, and a very strong and lovable main character, as well as realistic people. (But I would still recommend it anyway….) 8.75/10! I hope you guys had fun reading this, and some of you consider grabbing a copy of Pregnant Pause! It was a bit more organized than usual (haha), so I’m crossing my fingers that you all liked it (and didn’t get too bored with my rambling…). 🙂 Also- I have not cleared out my email in a long time! A Review Policy will be up ASAP, as unfortunately, more review requests are coming in than would be possible to read. Thank you all for contacting us. 🙂 A response will hopefully be coming your way soon. Goodbye all! Toodles! 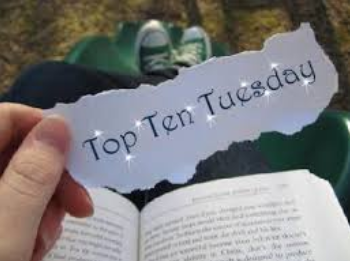 ‹ PreviousI Have So Many Amazing Shoutouts To Share Today! Thanks! Um, oops? Hehe. Me either, but I absolutely adored this one so I had to say something.